The challenge for every photographer is to find your own path and develop your own unique way of visual storytelling on the street; in short, to produce one-of-a-kind work that illuminates your subject, through a powerful and authentic personal vision. In this workshop, James Whitlow Delano will offer personalized instruction on how to create a project and bring it to fruition. Participants will propose a street photography story idea, or conceptual idea of related images, go out on the streets and shoot daily, receive daily critiques; and editing advice one on one, and through class discussions. Think about your story idea before you arrive and do some research, so you’ll have some sense of the issue or theme before arriving. In this workshop James will focus on building concrete strategies towards developing your ideas, deepening themes, and establishing an ongoing visual dialogue with your subject. Also, to work on a global level, photographers need to develop new survival and technical skills; and understand current trends in international media and platforms. He will discuss global trends in the industry, share personal projects and back-stories behind the making of a street photography project, and the challenge of full immersion in diverse places and cultures. The emphasis will be to offer participants strategies for creating photo essays that stand apart from the masses of images bombarding viewers every day. Your photographic style can be instantly recognizable. 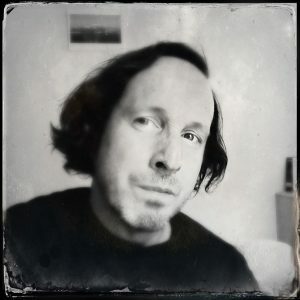 James Whitlow Delano is a Japan-based documentary storyteller. His work has been published and exhibited throughout the world and led to four award-winning monograph photo books, including, “Empire: Impressions from China” and “Black Tsunami: Japan 2011”. Projects have been cited with the Alfred Eisenstadt Award (from Columbia University and Life Magazine), Leica’s Oskar Barnack, Picture of the Year International, NPPA Best of Photojournalism, PDN and others for work from China, Japan, Afghanistan and Burma (Myanmar), etc. In 2015, he founded EverydayClimateChange (ECC) Instagram feed, where photographers from 6 continents document global climate change on 7 continents. ECC documents how climate change is not happening “over there” but it is also happening right here and right now. ECC is not a western view on climate change because photographers come from the north, the south; the east and the west; and are as diverse as the cultures in which we were all raised. Delano is a grantee of the Pulitzer Center on Crisis Reporting. Many friends living in Tokyo suggested to change the dates to late autumn, where the colours of foliage gives golden reflections to the whole city, there are less tourists around and temperature is prefect. Even if this is not “landscape workshop” I am sure those of you visiting Japan for the first time, will be happy to be there at this time of the year. In Shinjuku there are some reasonably priced hotel. I will send you a list and then you’ll be free to join us, or choose your own accommodation, keeping in mind that it should be close to our meeting point. During the day, we will probably be out wondering around the city, working on our projects, so participants will be responsible for finding their own lunch. In the evenings, according to TPW tradition, it will be nice to meet for dinner, and share the stories and experiences of the day. Tokyo is a culinary paradise, and we will be able, with James’s help and our local fixer, to find nice and authentic places.